> The HP Way: Backwards? And so that was that. But then there was more. A short time ago, I read about a remarkable device being shown off at the Las Vegas Consumer Electronics Show. It received huge attention not only because the device sported a unique and vibrant operating system, but it marked the return of a brand, a brand that lived in everyone’s memory as the first mobile computer manufacturer; Palm and that device, the Palm Pre. Just as Palm were about to meet their end, a saviour in the form of the mighty Hewlett Packard threw Palm a $1.2Billion life-line and the future looked bright. Backed by HP CEO Mark Hurd, the OS was to become the central piece to the fight HP were gearing themselves up for against Apple; promising to put webOS into phones, tablets, printers, desktop PCS and anything else they could think of. 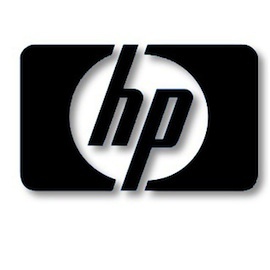 But then Hurd resigned from his post as CEO at HP amid personal scandal and new CEO Leo Apotheker took the reigns. The Pre3 and TouchPad were announced and HP were in the market – all they had to do was unlock the secret to getting customers onboard and adverts by Russell Brand and others were a great start. Ten years ago, HP CEO Carly Fiorina took on the HP Board and pushed through with her plans to buy Compaq, which ultimately lead to HP becoming the biggest PC manufacturer in the world! There was so much opposition to the Compaq merger that I never quite understood, reading Fiorina’s book her strategy certainly makes sense and fell perfectly in-line with “The HP Way” (the ‘bible’ for the running of the HP company set out by Bill and Dave), apart from HP having never acquired another company before but times had changed. A few days ago, Leo Apotheker announced that webOS would be discontinued and HP would investigate other uses for the software. But perhaps more alarmingly, put up for sale the biggest PC manufacturing business in the world. Reversing out the strategies of both Mark Hurd and Carly Fiorina and setting HP on a new strategy of focusing on enterprise computing and seemingly emulating IBM. I simply can’t understand HP’s new strategy; Hewlett Packard were originally back in Dave and Bill’s day the engineers and hardware specialists of the world – not just in computing; calculators, precision audio oscillators, printers, etc. Leo has bought Autonomy, a software specialist – a company that is so far removed from hardware engineering, it worries me that HP – a company with an amazing history and a company that I admire so much – are heading down the wrong path. Commenters have noted that by giving up the PC business they have bowed out of the fight with Apple and the discontinuation of webOS is an admission to Microsoft that their Windows platform still continues to rule. I’m happy to accept that webOS is to be discontinued; it couldn’t compete with Apple’s iOS, Google’s Android or even Microsoft’s Windows Phone. It’s a shame as it really is a fantastic OS that just never managed to get its lucky break, but the HP PC business disappearing isn’t logical and I can’t understand or accept it. I hope, hope, hope that I’m wrong and that HP will continue to flourish as a great company, but right now the news is a shock to most of the computer industry. I want more. Encore HP, encore.